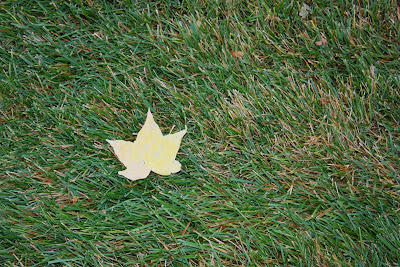 A little stray leaf in the front yard. Most of the leaves have been raked up, or mowed up. The lawn is just starting to go to sleep for the winter. It will almost completely lose color with more cold weather.